Clean Carfax! Regular Maintenance done! Tires in great shape 2 new tires installed! Owners Manual! Blindspot Assist! Rear View Camera! Rear Entertainment Package! 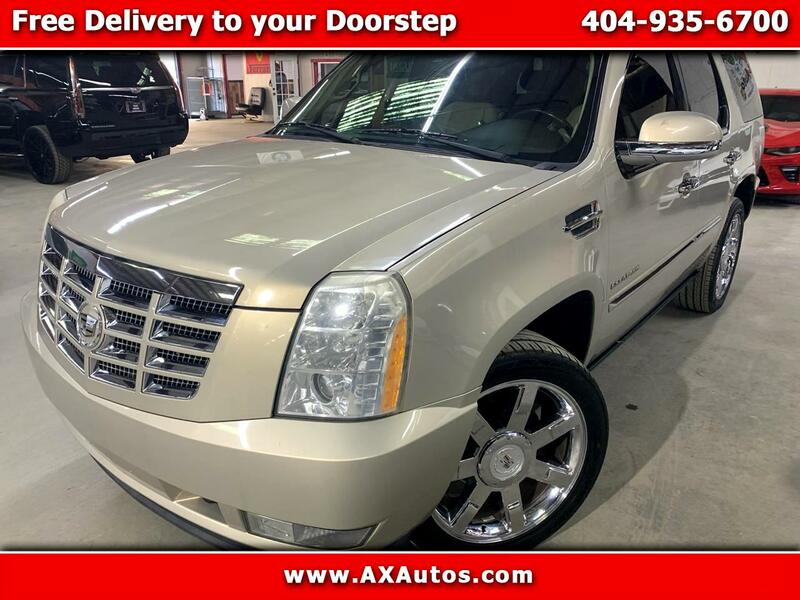 Well-Kept and Fully Serviced Cadillac Escalade Premium SUV! Powerful 6.2L V8 400-HP Engine Automatic Transmission! Leather Seats! Power and Heated/Cooled Front Seats! Heated Rear Seats! Power Locks! Power Windows! Power Mirrors! Moonroof! Tinted Windows! AM FM 6-Disc CD Player w/ Aux! Bose Premium Sound! Steering Wheel Audio Controls!Factory Touchscreen GPS Navigation! Factory Rear Entertainment TV/DVD Player! 2nd Row Bucket Power-Folding Seating! Removable 3rd Row Seats! Rear AC/HeatBlindSpot Assist Package! Rear Parking Sensors! Integrated Rearview Backup Camera! Tow Package! Fixed Running Boards! Full Luggage Rack! Power Liftgate!